We know that changemakers aren’t super heroes; they’re just people who connect their values to their actions. Every single one of us has gifts and talents we can use to be the change we wish to see in the world. At key times we need to make time to slow down, keep a cool head & think critically about how we can be positive change makers. We hope this ‘inner activism’ project is a useful tool & physical reminder of your journey as a craftivist & brilliant global citizen. 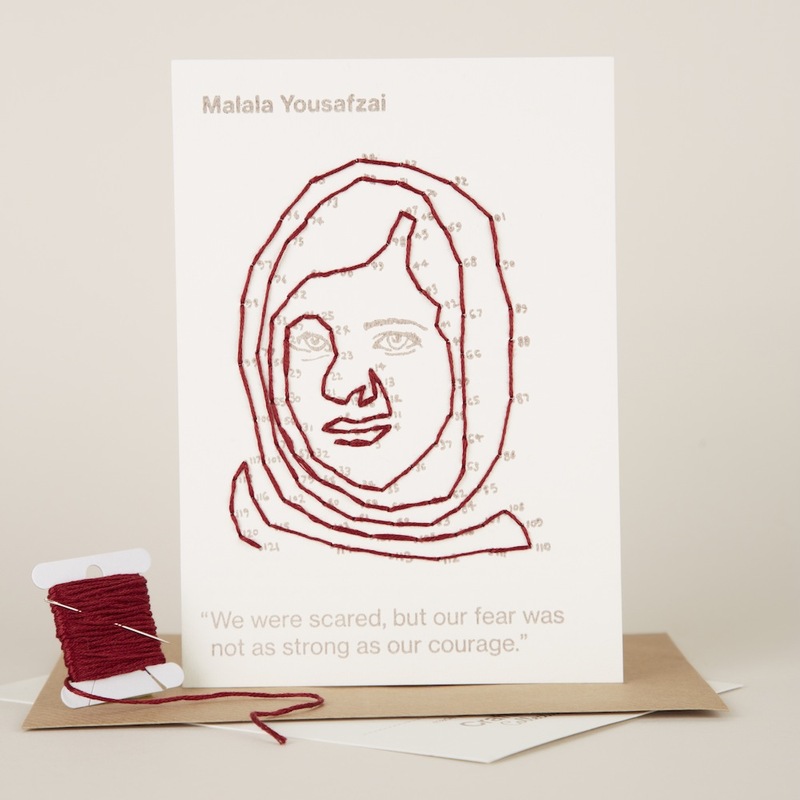 What inspires us about Malala, JK Rowling, Desmond Tutu, Abraham Lincoln, and Eleanor Roosevelt – the folk we’ve included in this new Craftivist Collective project – is how different they are. We purposely chose a range of ages, genders, nationalities, skills and backgrounds because we understand that changemakers don’t all look the same or act the same. 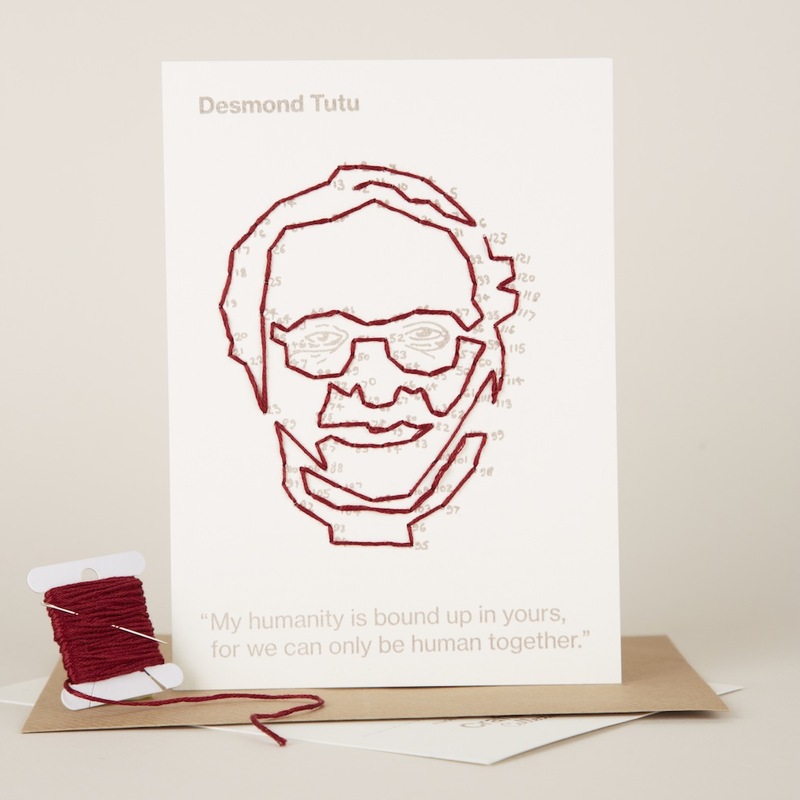 On each stitchable ‘dot-to-dot’ card, we’ve included a quote from each of them for you to reflect on, and on the back there’s a bit of information about the respective changemaker for those that might not know much about their background or that what they’ve done. 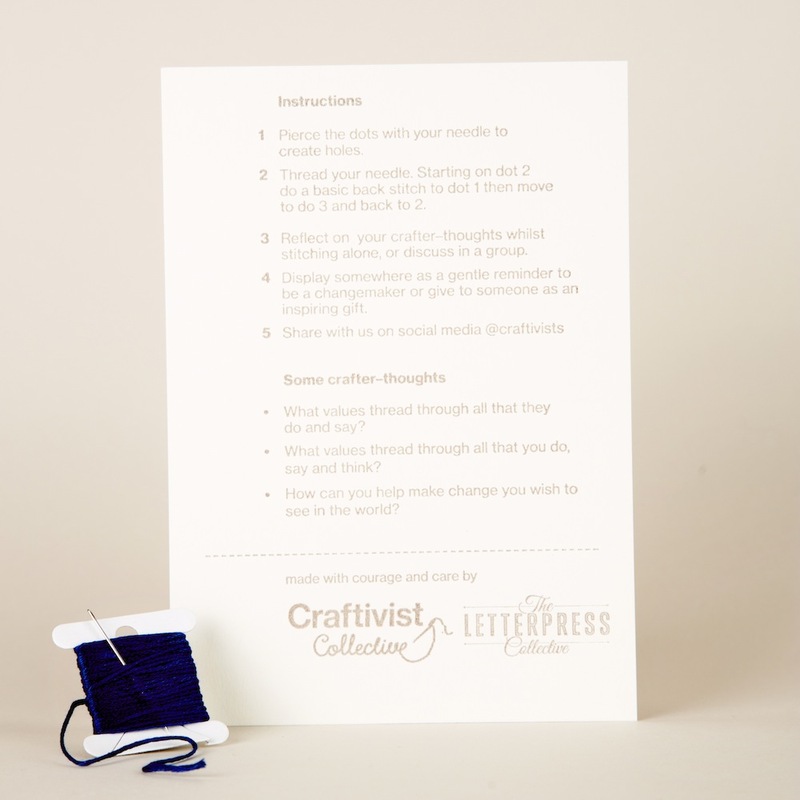 On a separate card there are clear instructions plus some crafter-thought questions to reflect on whilst stitching. Choose your favourite, or get the whole set! Made ethically by hand using a traditional letterpress printing technique on recycled card. Each dot-to-dot portrait is a one-of-a-kind creation, just like each and every change-maker. 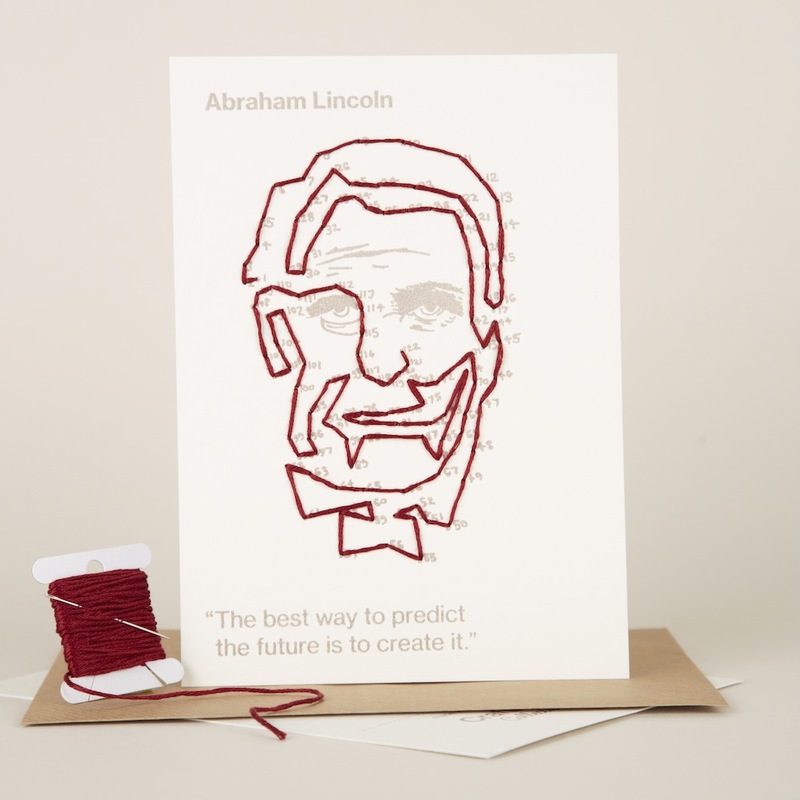 On a separate card there are clear instructions plus some crafter-thought questions to reflect on whilst stitching. 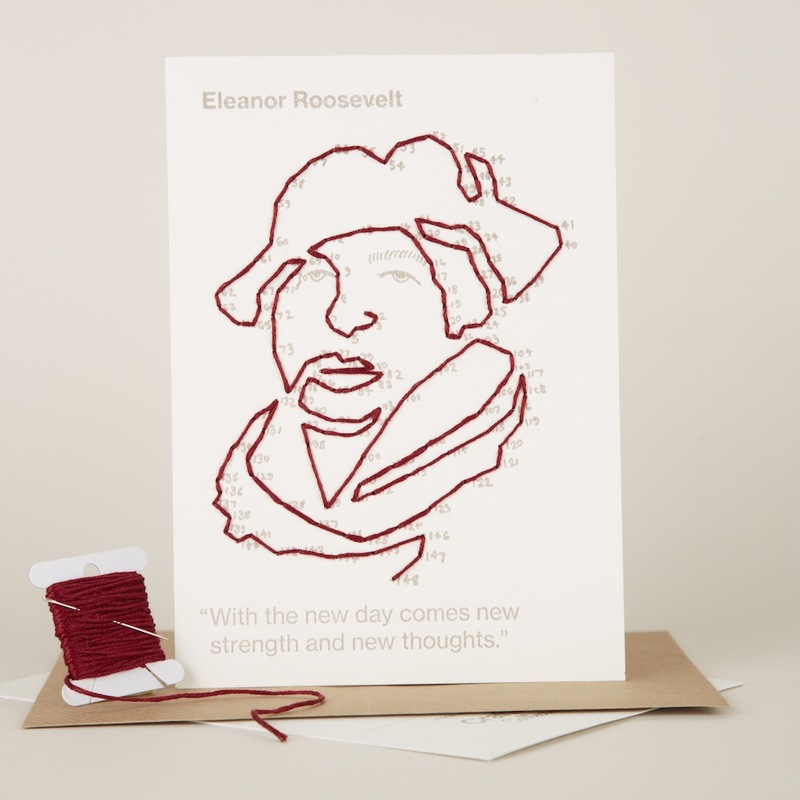 This super-ethically-made project is a chance to slow down and – in the safe environment that craft creates – reflect on what values are threaded through the changemakers we’re stitching, and challenge ourselves to decide how we can thread our own values into the choices we make every day in order to become awesome global citizens. Once it’s finished, each card is also a tactile physical reminder to strive to put your values into practice in all you do. Keep it at home or display it at work, wherever is most helpful for you. It might even start some great conversations with others. This is our first collaborative product, and we are so proud to be working alongside Nick Hand and Bristol’s The Letterpress Collective, who are doing such great work to keep the traditions of letterpress printing alive. The kits that they’ve helped us produce really embody what Craftivist Collective stands for – made slowly and carefully by hand, with thought and attention to detail, giving each kit an individual touch. 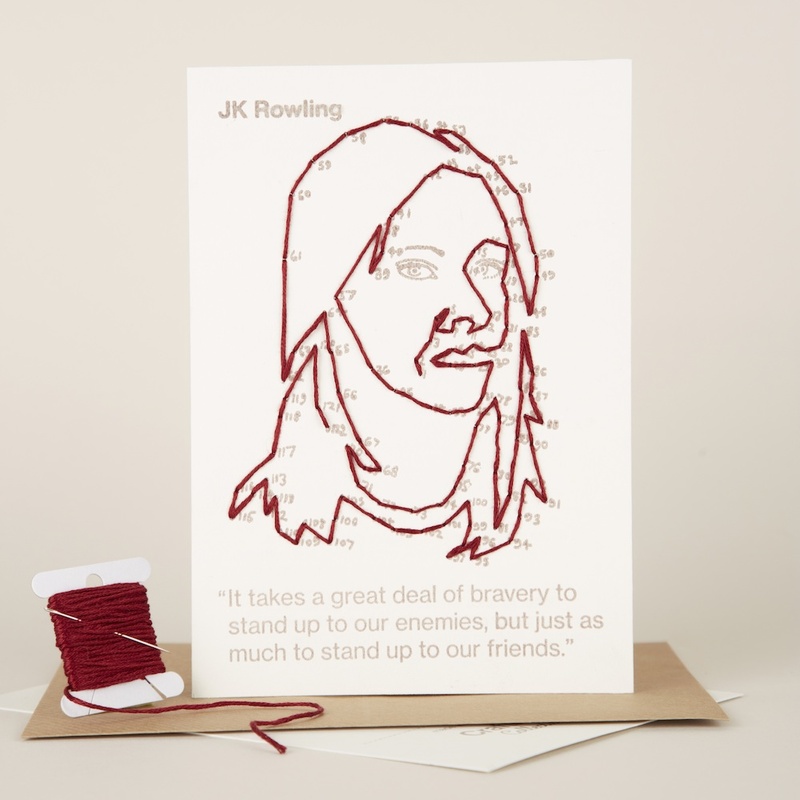 They are made ethically by hand using a traditional letterpress system, from recycled card and wrapped in biodegradable sleeves & with recycled paper envelopes. 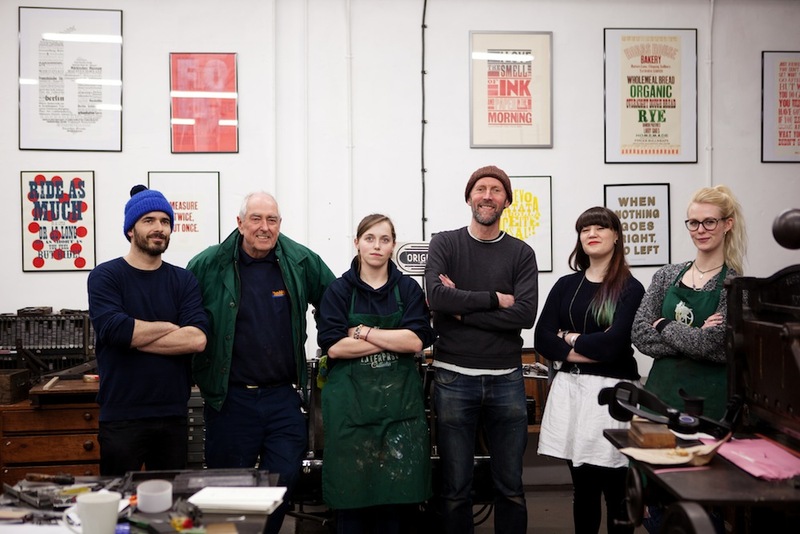 The project was launched at an event at the Letterpress Collective’s base in Bristol, and we’ve got a great video from the evening that will hopefully inspire you. 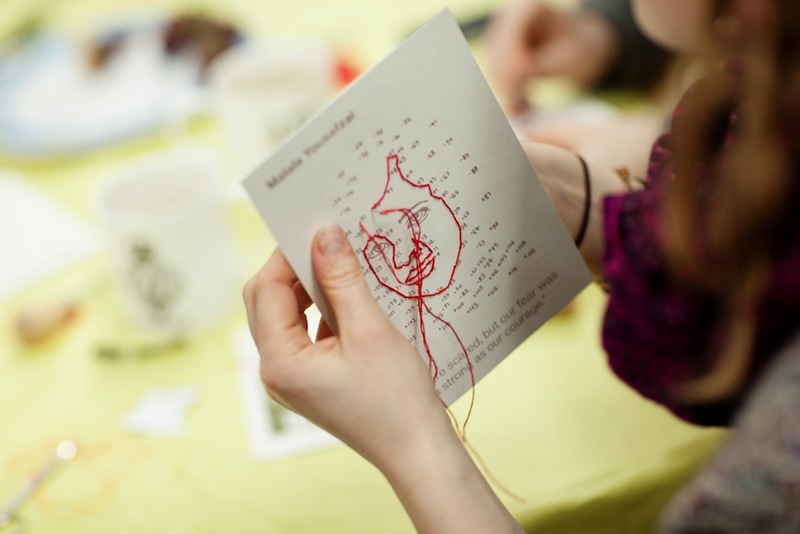 We’ve also got advice on how to arrange your own group stitch-in event if you prefer your craftivism to be a social occasion. Whether you do it in a group, on your own, remember to take the time to reflect and to gently challenge yourself about those values threading through us and through the people who inspire us. You’ll be surprised how often changing the world begins with changing ourselves. It looks fabulous. This has been a great read for me and I am sure many others will love it as well, Thanks for your efforts here.